I think this might be the best soup EVER ‘cos it looks so ACE (don’t you think) and tastes really good too. Delicious in fact. Even the kids gave it the thumbs up. 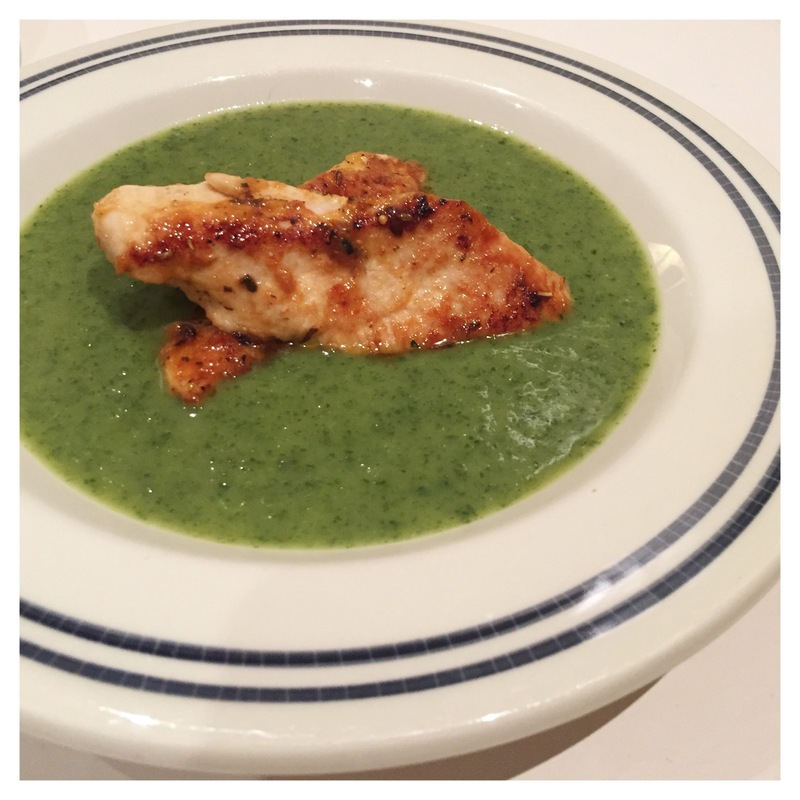 I followed Yottam Ottolengi’s recipe for ‘wild rocket and parsley vichyssoise’. From his NOPI cookbook which I got for Christmas. The recipe is also published here. I served mine with chicken marinated in Greek inspired spices. He serves his with pistachio and pine nut crusted halibut (I didn’t have that in the pantry on a Monday – but next time DEFINITELY). And I think there are like a million possibilities for serving this soup. It tastes rich and hearty like vichyssoise but also ‘greenish’. And looks just so so so fun!